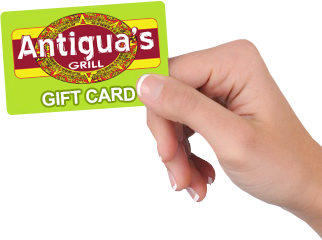 Antigua's Grill has gift cards! That's right! You can give the gift of local dining to your friends and family. Is someone's anniversary coming up? Pick up a gift card at Antigua's so they can have a night out with great food and a cozy atmosphere. Gift cards are a great gift for birthdays, graduations, and other life celebrations. Giving a gift card could be the perfect gift for Christmas, Valentine's Day or any holiday! Come by Antigua's at either location to get one today!